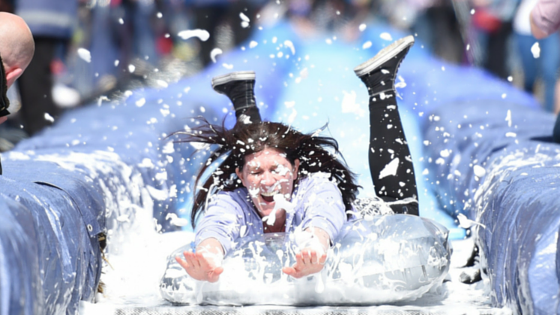 On Sunday, 4th May, 360 brave souls plummeted down a 90 metre plastic water slide running through one of Bristol’s busiest shopping streets. The Spacehive project, backed by 566 funders, was the brainchild of Luke Jerram, a local artist who came up with the idea during last year’s summer heatwave whilst surveying sweltering shoppers from his office window. Why not close the whole thing and turn it into a giant water slide? Sure, said the Mayor George Ferguson. After a crowdfunding campaign that went viral, 100,000 people signed up to take the plunge down Park Street this weekend – equivalent to one fifth of the city’s population. This is epic civic activity and we salute it. Who will top Luke’s slide? We hear talk of zip wires whizzing across town centres, and entire high streets transformed into bucket and spade beaches. 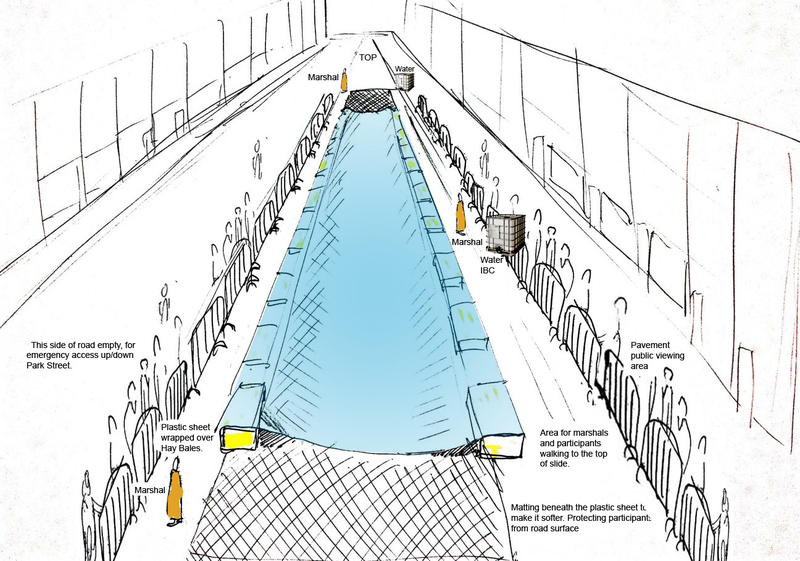 It seems Bristol’s slide has got the nation’s creative juices flowing.